This event is organised by the Embassy of the Kingdom of The Netherlands and Finnish Textile & Fashion. Aim of the event is to help the formation of new circular business partnerships between Finnish and Dutch companies. 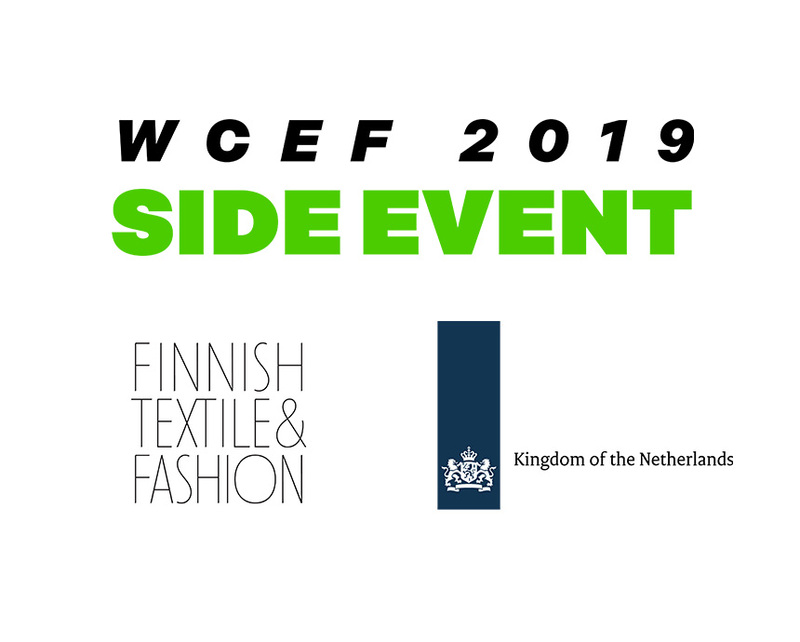 Come and have a listen to the Dutch and Finnish textile sector innovations and find companies presenting their best cases or new business partnerships to tackle the challenges of circular economy. After short pitching session participants have a chance to one-on-one conversations and networking. The event is an official side event of World Circular Economy Forum and aimed for companies who are already working or are interested about the circular economy of textiles. How to join: Companies are able to participate in the event to present their solution in the expo area or to hear about the solutions and look new partnerships. Please fill how you would like to participate in the event on the registration form. Maximum number of participants is 50. Registration: Fill in the registration form here. Deadline for registration is 20th of May.